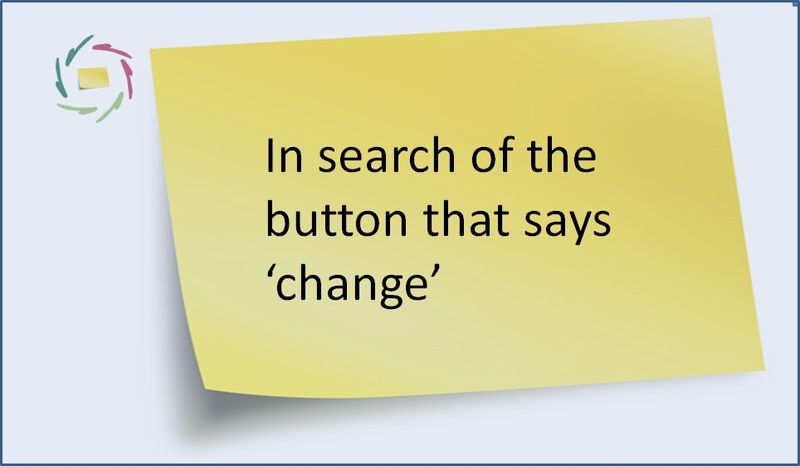 If only people were robots… there would be buttons at their backs, reading ‘change’. Push the button and there you go. Brave new world! But it’s not this world, for the time being. Still, there is a general idea that change really is as simple as that. The idea is not backed up by experience of course. Still, it’s omnipresent. As is the quest for the right button(s). Example: after 10 different painkillers and 20 serious side effects to relieve her psychosomatic back aches, Mrs. Robinson is sitting in front of her newest medic, hearing and believing that this new painkiller from across the ocean will this time be the promised magical wand, potion, pill, button, whatever. Second example: at the same time, ten blocks further, Mr Robinson has again the fright of his life. He has a close encounter of the third-hand kind with his own spider phobia, for which he has been treated twice with behavioral therapy. It went well for a while, but now it’s worse than ever before. Of course, Mr. Robinson is not alone in this. It happens frequently. The problem is: there are no easy buttons that really make one easily change. What you see, is a finger, right? What you also see, if you look closer, is a lot of little wrinkles (at least I do), colors, shades, movement, etc. Now look at your hand. You see a hand, but you also see an overwhelming amount of small details. It’s impossible to be conscious of all this at the same time. You’re only conscious of your ‘hand’ as such because you’re not at the same time conscious of all the details. In this, you have also just discovered how human ‘vision’ principally works: through making good use of its own limitations. 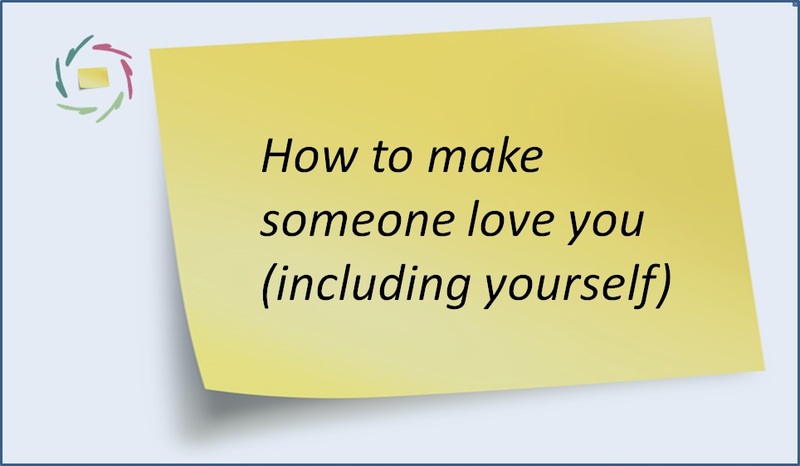 Now in your mind’s eye, if you are looking at one of your own thoughts, you are looking at a tremendous lot of processing going on at the neuronal level. 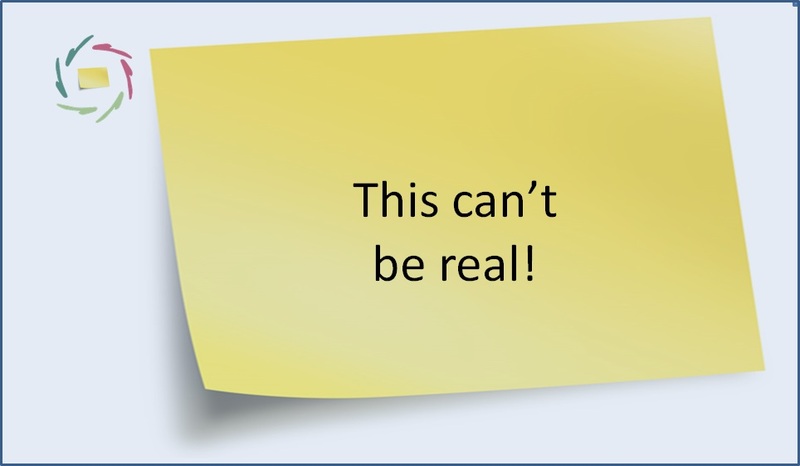 It is utterly, completely impossible to have all this processing in your conscious attention at the same time, the more so because it all comes ‘from inside out’. Actually, you perceive a thought within your awareness because you don’t see all the underlying ‘details’. When mind is involved, this is what makes change so difficult. With only a handful or, say, 1000.000 thoughts on the go, the buttons would be easy to find (and shortly after that also manufactured). Unfortunately for the Robinsons, it was not meant to be. And isn’t it wonderful? Humans are infinitely much more interesting than that. Each of us is a world (not to say: a universe!) of wonders, poetry, depth of humanity. For a long time to come, let mind astonish its researchers in its sheer infinity of levels of complexity. That’s great. 20. 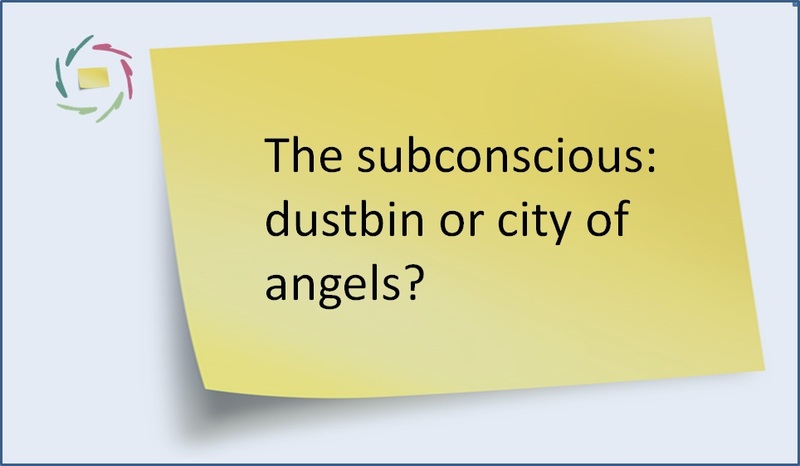 The subconscious: dustbin or city of angels? 78. This can’t be real!